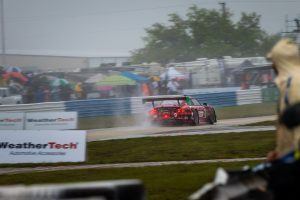 SEBRING, March 18, 2019 // In a weekend that showed a great deal of promise, Pfaff Motorsports walked away from its first 12 Hours of Sebring with a 10th-place finish in the IMSA WeatherTech GTD. A technical malfunction dropped the team from the lead of the race to two laps down, with just over three hours remaining. The team arrived at Sebring International Raceway having previously won at the circuit in 2017 in the Canadian Porsche GT3 Cup Challenge. 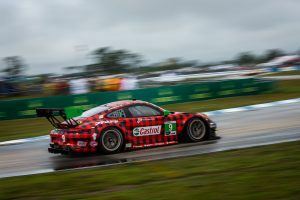 The team’s 2019 Porsche 911 GT3 R was the fastest GTD-class car in practice, and Canadian driver Zach Robichon followed that in qualifying by placing the Pfaff Motorsports car in third position for the 12-hour race. 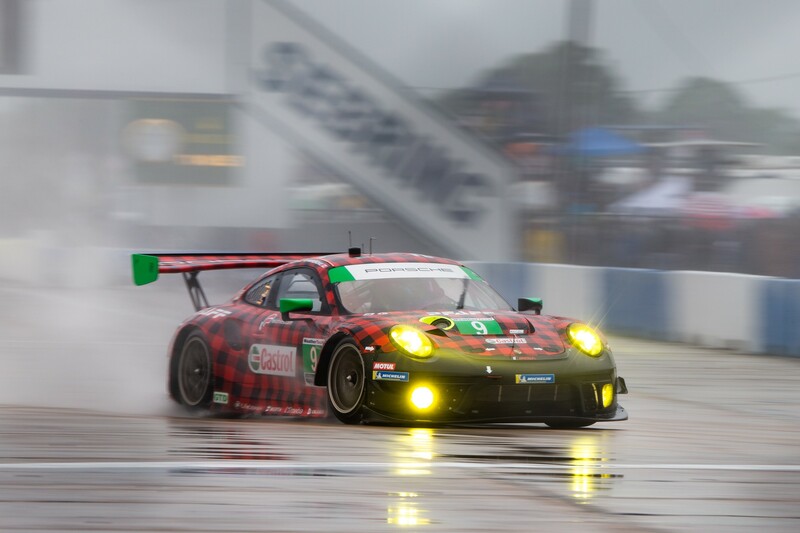 Joined by fellow drivers Scott Hargrove (Canada) and Lars Kern (Germany), the team began Saturday with great expectations despite the inclement weather, until an incident in morning warm up saw the Castrol-sponsored Porsche hit standing water on the track, sending it into the wall with front-end damage to the body and aerodynamic package. 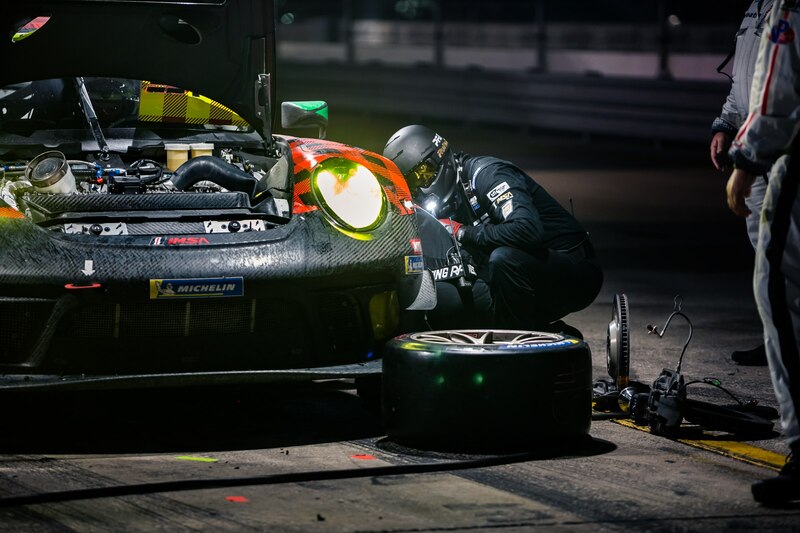 With just 19 minutes before the mandatory call to the race pre-grid, it was all hands on deck, as the team and drivers worked diligently to inspect, repair and replace the GT3 R’s bodywork, then double-checking the alignment to make the deadline to be on the starting grid just 20 seconds before the cut-off. 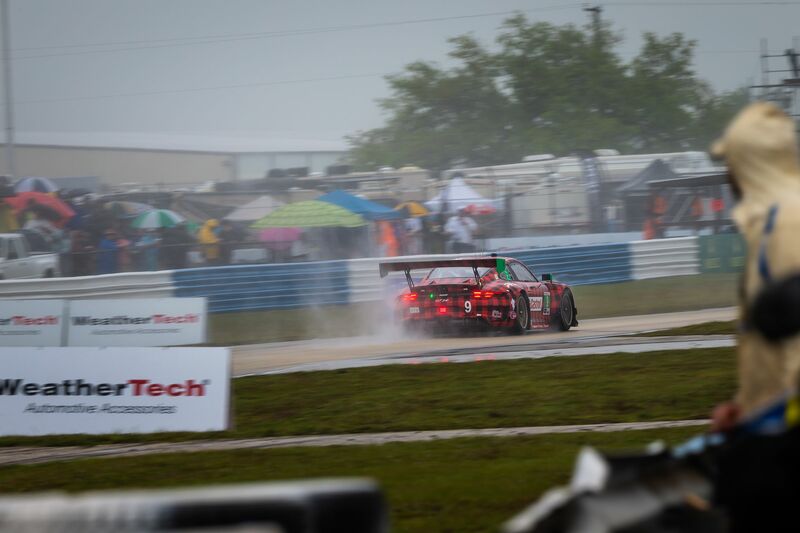 The race began with nearly 40 minutes of caution due to heavy rain. 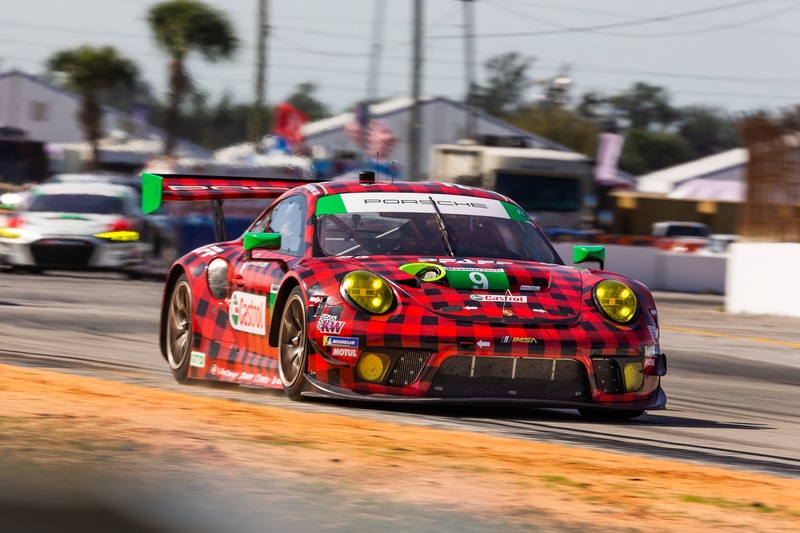 When the flag went green, Robichon jumped into the lead, passing higher-class GTLM and DP Prototype competitors to put the car as high as 13thoverall in the 38-car field. 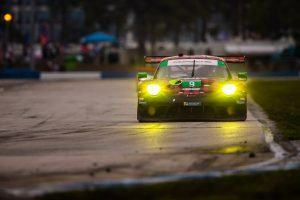 That trend was continued by Kern and Hargrove, the trio ultimately leading for 100 of the 320 total laps, the most of any car in the GTD field. 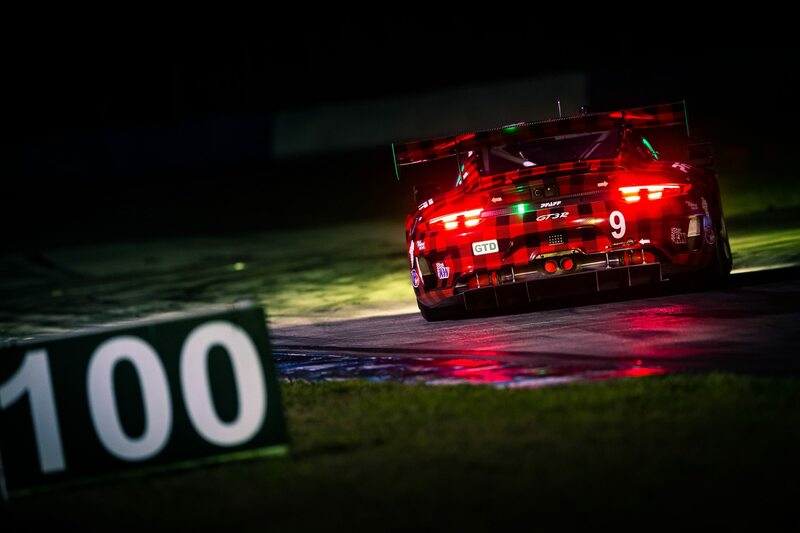 But any hopes of a win were dashed on lap 223, when Kern experienced alarms that his ABS had failed with just under four hours remaining. When Hargrove jumped in the car, the team decided to pit to repair the sensor, ultimately putting them two laps down with just three hours left. “Once we got back out, we still had great pace, but at that point, it was all about bringing the car home,” Hargrove said. 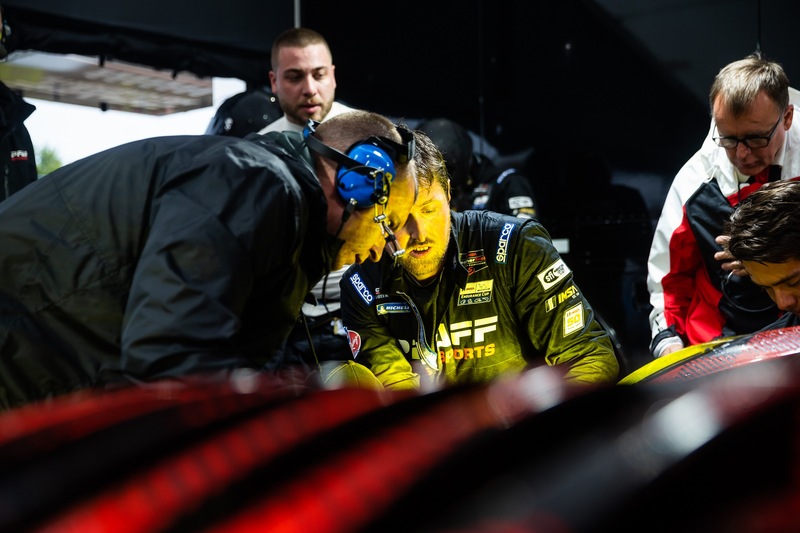 Ultimately Pfaff finished the race in 10thplace, achieving their immediate goal of finishing the race, but far from the potential and promise the team hoped for. Pfaff Motorsports returns to the track for round three of the IMSA WeatherTech SportsCar Championship, where it will aim for another strong showing at the Mid-Ohio Sports Car Course in Lexington, Ohio from May 3 to 5. 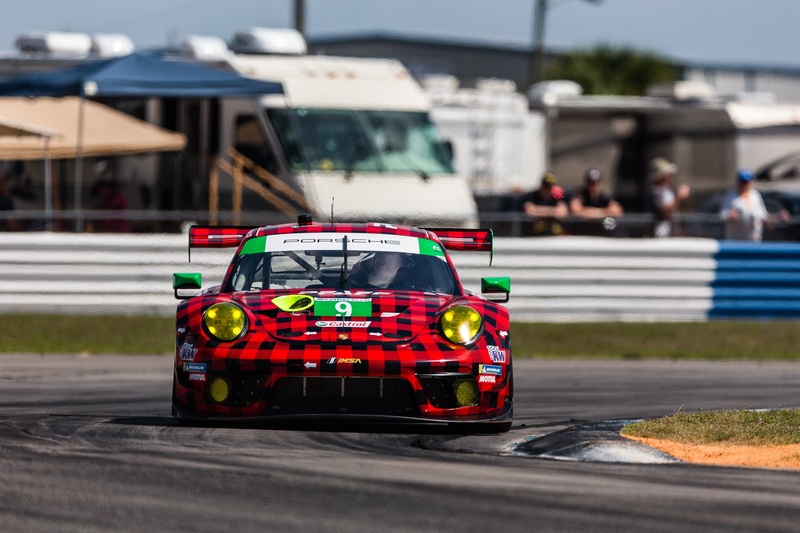 Follow @PfaffMotorsports, @PfaffPorsche and @PfaffAuto on Instagram, and Pfaff Porsche on Facebook for more announcements and behind-the-scenes content during the 2019 IMSA WeatherTech and Michelin Pilot seasons.